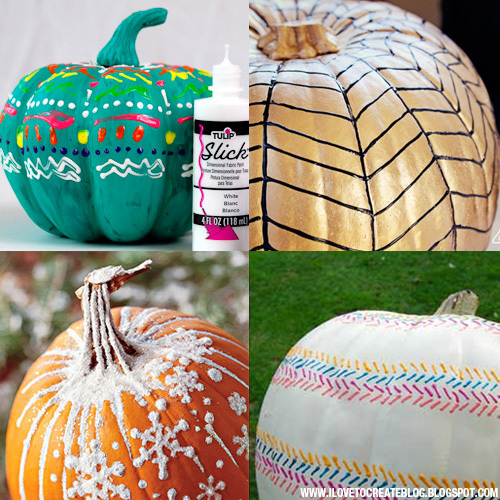 We love us some Puffy Paint Pumpkins! After all, we are the makers of Tulip 3D Fashion Paint and Scribbles 3D Paint. We know you guys affectionately refer to it as puffy paint though! 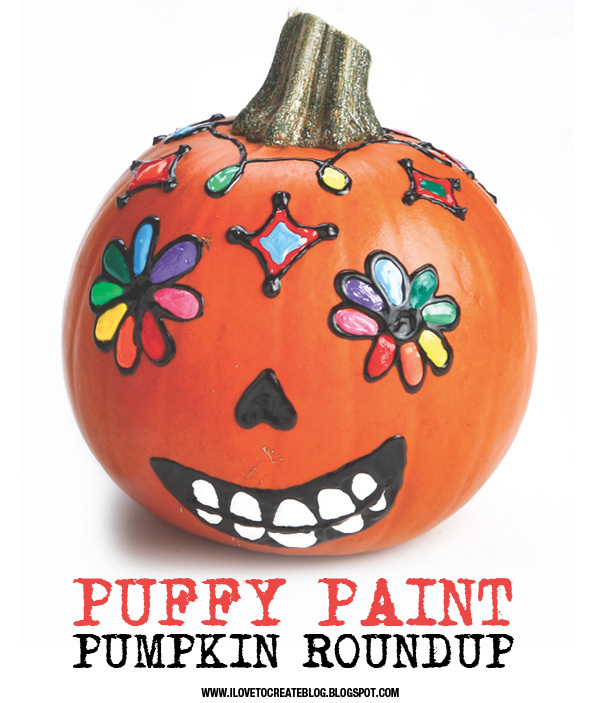 Last year, we shared a puffy paint pumpkin ideas roundup and we're back with several more fun ideas like the Sugar Skull Dia De Los Muertos pumpkin above from The Swell Life! Check out these fun ideas. People just love to create with puffy paint. We LOVE it! Mix puffy paint push pin mini pumpkins with First Home Love Life. 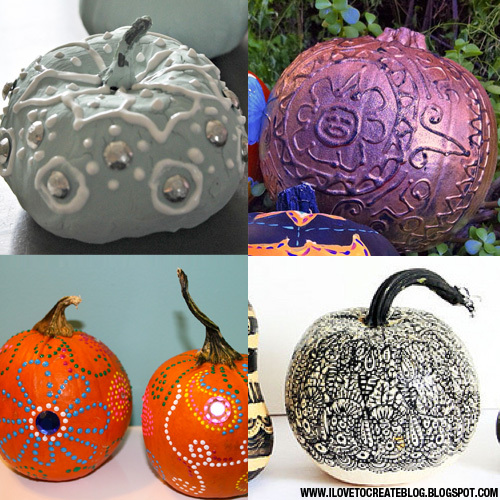 Make Mexi Pumpkins with Crafty Chica! Loving the purple tone on tone! Create fun flowery doodled pumpkins with Many Makings. Black paint makes for lovely doodled pumpkins with Alisa Burke. Make colorful un-scary pumpkins with Papery and Cakery. Create sophisticated gold and black pumpkins with Lacquer and Linen. Sprinkle glitter on top of puffy paint for this frosted pumpkin from BHG. These cross-stitch pumpkins are so cool from Aesthetic Outburst! Which of these pumpkins do you want to make?